Last week I blogged about how multi-layered security can help protect your account holders—as well as your brand and reputation—from cyberattacks. This week, I’ll describe how to better assure that the person who’s trying to get into your digital channel is allowed. My wife and I live a little bit out in the country, so this year we installed a Ring Doorbell at the front door for an extra layer of security. I love it. I can be at work and when Ring detects motion, I can take a quick look to make sure I know the person’s identity and activity. If it’s the UPS delivery person dropping off a package, there’s no worry. If, on the other hand, I discover an unwelcome guest or an intruder, Ring alarms my wife and I, and we take whatever steps are appropriate. Ring is such a simple device, but it makes a huge difference in our rural living experience and in navigating visitors. Similarly, online and mobile security processes can make a big impact on experiences when banking in the digital realm. A lot of key customers that financial institutions (FIs) are targeting—millennials and high-net-worth clients in particular—want better online and mobile experiences. To attract and retain these account holders, an FI needs solid security that protects their assets and improves their experiences—like a digital banking Ring Doorbell. A digital banking Ring Doorbell would validate visitors before they enter your network or gain access to assets. As you work to deliver digital services, you need to know that those ringing your proverbial doorbell aren’t a threat—and to validate that they’re who they say they are. Your digital banking channel should have identity detection capabilities that can accurately assess account holder identities and recognize anomalies. Knowing which browsers customers use and ensuring the same browser from the same IP address is being used will help ensure your FI knows its account holders. Detecting multiple IP access or requiring re-authentication whenever a device is unused for a specified period also helps keep unwanted intruders out. You may want additional security features for different groups of customers. Your digital banking channel should allow for stronger authentication controls by groups with access to higher-risk transactions or entitlements. Just remember, there’s a balance between effective security and delivering great banking experiences. If alarms go off every time a UPS package is delivered to our home, drivers aren’t likely to come around. A similar scenario at your FI could negatively affect business activities or even drive away account holders. Achieving the right balance between security and customer experience is tricky. In the effort to avoid the negative experience of a security breach, it’s possible to create too much friction for account holders. That’s why Q2 provides so many security processes that occur invisibly and instantly behind the scenes and become visible to the FI or account holder only in the event of an anomaly. One last point: Be a good neighbor looking out for account holders. Treat your account holders with impeccable service and an unbeatable digital banking experience. They’ll appreciate the time and energy you put into making them—and their security—a priority. Join me next week as we discuss how Q2 protects your brand with our multi-layer security approach by detecting anomalous transactions. 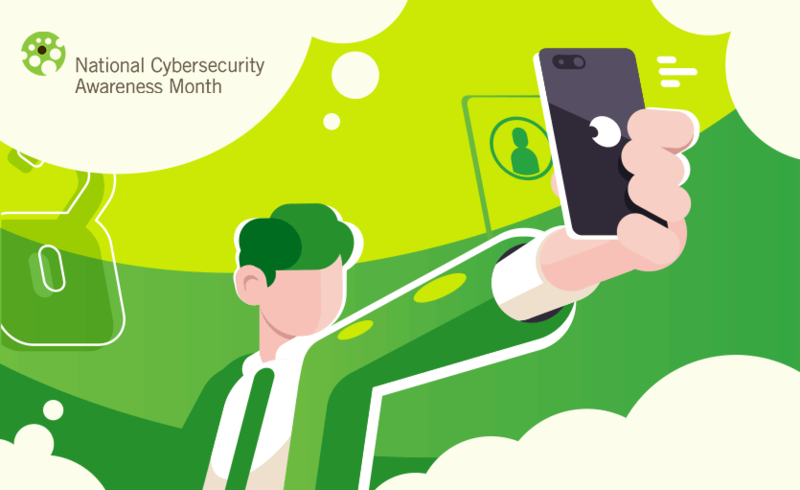 Thank you and Happy Cyber Security Month.